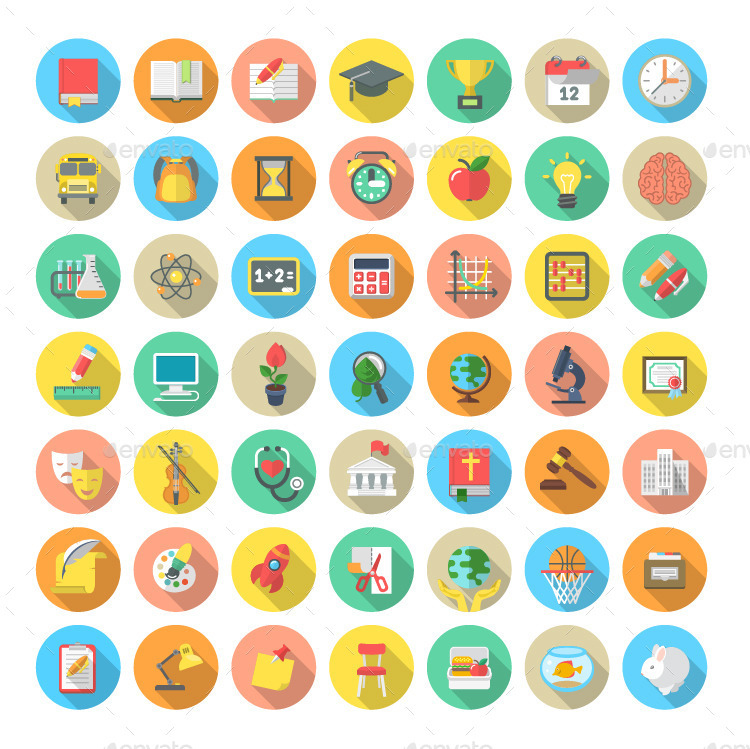 Set of modern flat colorful vector icons of school subjects, activities, educational and science symbols in colorful circles with long shadows and a wise owl in mortarboard. Was used font, free for commercial use.You can find a link to download this font in the help file. 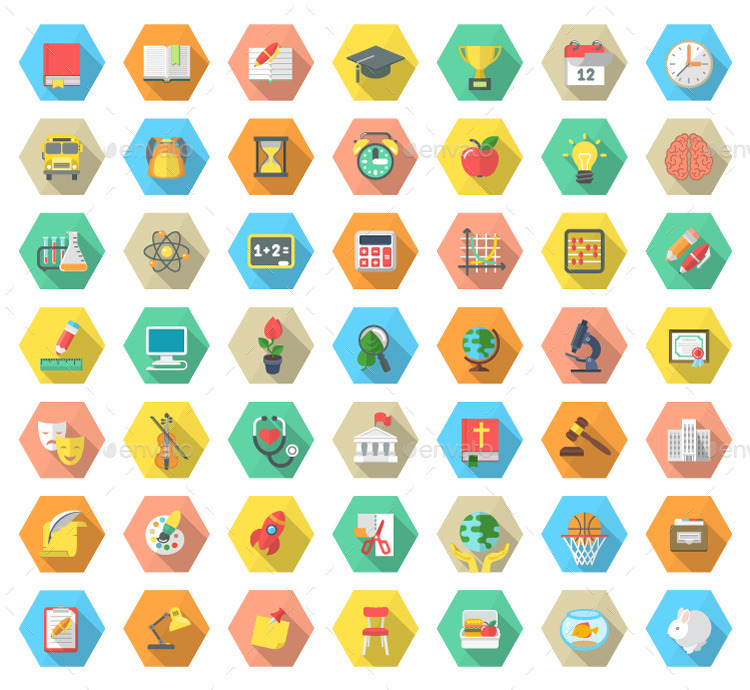 Wish you a lot of inspiration in creating your design!